Take full advantage of Audi's advancements in electric vehicle manufacturing by reserving your brand-new Audi e-tron® from Audi Morton Grove in Illinois - serving Glenview, Highland Park, Lincoln Park, Deerfield, and Glencoe. The new Audi e-tron® represents a commitment to creating exceptional electric vehicles designed for modern drivers. The e-tron® lineup will include multiple vehicles that demonstrate the power of electric driving without compromise. Thoughtful technology allows you to prepare for life's adventures with clever solutions for home and on-the-go charging. A large, intelligent battery optimizes your potential for long-distance travels and proves its capability with quick acceleration and available Quattro® all-wheel drive. 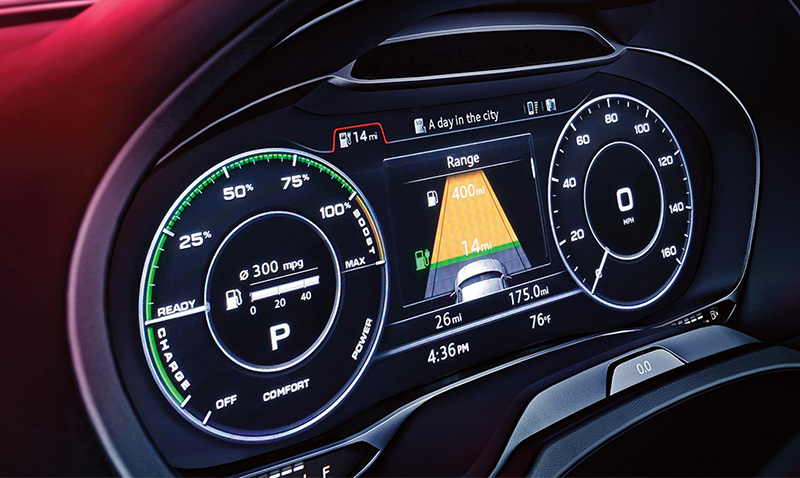 Various features will come standard or available on different e-tron® models, including remote access via Audi mobile apps and next-generation driver assistance systems that ease your commute. As with any Audi vehicle, you can expect the finest form of craftsmanship when it comes to interior appointments and overall comfort. If you're ready to experience the strength of Audi's electric vehicles, reserve your new Audi e-tron® from Audi Morton Grove. We can help you plan your purchase before the e-tron® arrives and customize your new vehicle to your liking. Please call to schedule your appointment or visit the dealership located at 7000 Golf Road, Morton Grove, IL 60053.